Eran Kahana, special counsel in Maslon's Business & Securities Group, authored an article titled "Trademarks in Cyberspace: 2013 in Review," that appears in the Winter 2014/2015 issue of The Business Lawyer of the American Bar Association, the premier business law journal in the country, circulating to approximately 60,000 readers. The article addresses the issues and legal cases associated with trademark law, including keyword advertising litigation, contributory trademark infringement, and false advertising. 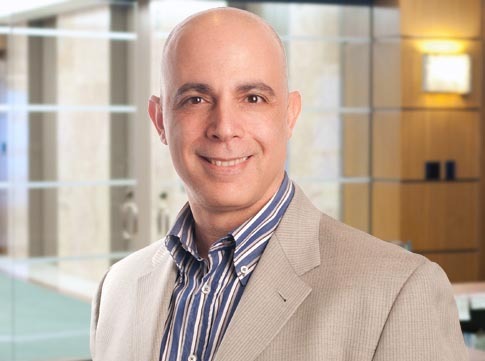 Eran Kahana is an intellectual property attorney with a strong IT background and extensive experience advising clients in domestic and international settings. He focuses his practice on matters such as drafting and negotiating complex software, trademark, and patent licenses; joint development agreements; strategic partnerships; general and government procurement agreements; consulting agreements; service agreements; cloud-related agreements; social media advertising; and a wide variety of e-commerce related matters. Eran also advises clients on cutting-edge legal matters related to the use of artificial intelligence and cyber security. He serves as general counsel and on the Board of Directors for the Minnesota Chapter of InfraGard, a nonprofit that focuses on the development, management, and protection of critical infrastructure across the United States in collaboration with the FBI. Eran is a also a research fellow at Stanford Law School, where he speaks and writes about the intersection of law and artificial intelligence. To read the article, go to: Trademarks in Cyberspace: 2013 in Review.